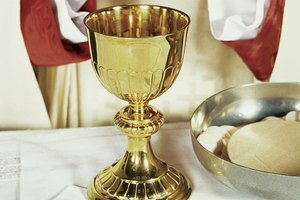 Catholics believe that Holy Communion (or, the Holy Eucharist) is the actual body and blood of Jesus Christ. This is one conviction that sets Catholicism apart from other Christian religions. 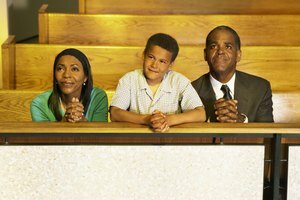 When Catholics receive Communion, they believe that Christ is actually within them, so they observe certain practices of reverence. As Catholics approach the altar for Communion, the priest holds up the host – the Communion wafer -- and pronounces, “the body of Christ.” The recipient responds “Amen,” in acknowledgment. If the recipient wants to receive the host in his mouth, he opens his mouth; otherwise he places his hands out with the right hand cupping the back of the left hand, on which the priest places the host..
Catholics who wish to partake of the blood of Christ approach the priest holding the chalice of consecrated wine. The priest says, “the blood of Christ” and then hands the chalice to the recipient. The response is "Amen"; the communicant takes the chalice reverently, sips some wine and hands the chalice back to the priest. 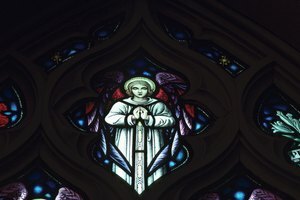 After receiving Holy Communion, the recipient walks silently back to the church pew, where he kneels or sits contemplatively in adoration of Jesus. Prayer and personal reflection after receiving the Eucharist brings Catholics closer to God and allows them to be more fully aware of his presence. After Communion has been distributed, the priest and deacon collect any remaining hosts and wine. 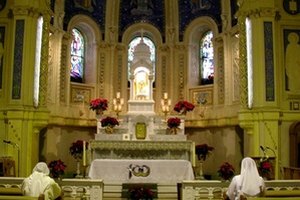 The priest consumes any remaining wine and then reverently places the chalice—which holds any remaining hosts—into the tabernacle. The tabernacle door is closed and locked. 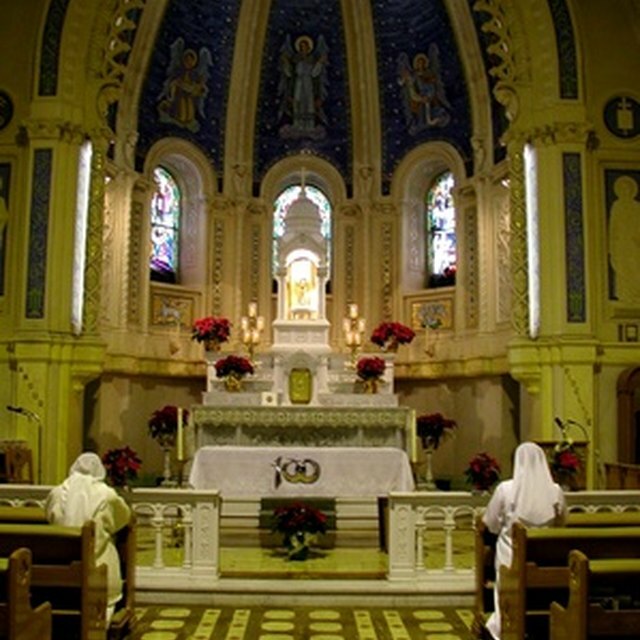 Catholics remain kneeling or seated during this time until the chalice is safely returned to the tabernacle. The priest and deacons sit at the front of the church after the Communion song ends. There are many Catholic prayers that can be said by Catholics after receiving the Holy Eucharist. A Catholic may wish to recite prayers of thanksgiving thanking Jesus for the sacrament of Communion and thanking him for residing in his body. Another prayer that Catholics may recite after receiving the Holy Eucharist is the Anima Christi, a 14th-century prayer asking Jesus for salvation and sanctification. Catholics may also want to pray to Mary after Communion by reciting the Hail Mary. Prayers to Mary are offered in thanksgiving and in acknowledgement of her suffering by the death of her son Jesus. Ayers, Susan. "The Proper Thing to Do After Receiving Communion as a Catholic." 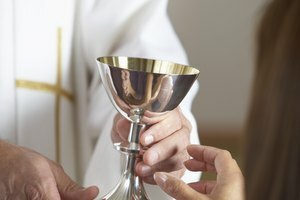 Synonym, https://classroom.synonym.com/the-proper-thing-to-do-after-receiving-communion-as-a-catholic-12086628.html. 29 September 2017.